Contact Little Havana Slip & Fall Lawyers Gerson & Schwartz, P.A. Slip and fall incidents are not always accidental. Many slips and falls are foreseeable and can be preventable but for hazards on a person or business’s property, and the property owner may be liable. Whether you are walking, riding your bike, using public transportation, or driving, you expect to get from Point A to Point B without incident. Unfortunately, some days may not end as successfully as others. You may slip and fall on your way to work, while running errands, or while out with friends and be diagnosed with one or more injuries. Slips and falls can lead to broken bones, head trauma, and many other types of harm. After a serious slip and fall, you should talk with a Little Havana slip and fall lawyer at Gerson & Schwartz P.A. to discuss your rights and legal options. We may be able to represent you and pursue compensation for you through an insurance claim or premises liability lawsuit. You can schedule a free consultation with us through our online form or by calling (305) 371-6000. 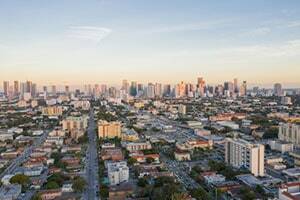 Little Havana is a neighborhood in Miami named after the capital of Cuba. The neighborhood, which lies west of downtown, became predominantly Cuban in the 1960s as many Cubans fled Castro. Over the decades, many Cubans and other individuals from Central and South America immigrated to the neighborhood. At this point, the Cuban population of Havana has decreased some, but the area is predominantly Hispanic. Many local businesses continue to be Cuban-owned. Little Havana is the home of several famous Cuban restaurants. The most famous street in Little Havana is called Calle Ocho which is located on SW 8th Street. Calle Ocho is also the site of an internationally known festival known as the Calle Ocho Festival. This music festival is held on SW 8th Street and 27th Avenue. In addition to being known for its Cuban population, Little Havana is also well-known for its culture, social scene, and political activism. Because of all of these qualities and more, it is has been dubbed a national treasure. These hazards are often the direct cause of a slip and fall. They reduce the friction between your footwear and the ground, causing you to lose your footing. However, these hazards do not appear out of nowhere. In many circumstances, they are the result of a property owner’s negligence. For example, a business that ignores conditions on the property may not find and clean up dangerous spills. Or, a business may place a mat without non-slip backing at its entrance, creating the risk of a fall. Whatever you believe led to your slip and fall, call our slip and fall lawyers for Little Havana right away. We will thoroughly investigation the incident to determine why you fell. We will gather evidence in order to pinpoint the hazard that caused you harm. We also will dig further and look into whether the property owner knew or should have known about the hazard and whether they did anything about it. When you fall on another individual or business’s property, you may quickly assume that the property owner is responsible. However, this is not always true. Whether or not a property owner is liable for your injuries depends on the specific circumstances. You should speak with a Little Havana slip and fall attorney as soon as possible to determine if the property owner may owe you compensation for your injuries. To begin with, your attorney will verify your status on the other party’s property. It matters whether or not you had permission to be there. If you lacked permission, you are considered a trespasser, and the property owner owes you very little. It is far less likely that the owner will be liable for your fall and injuries. If you had consent to be on the property, it matters whether you were on the property as a social guest or for the property owner’s economic benefit. If you are on another person or business’s property for a business, financial, or economic reason, such as shopping at a grocery store, then that property owner owes you a duty of reasonable care. Once our slip and fall attorneys for Little Havana have determined your status on the property and the owner’s duty of care toward you, then we will determine whether the owner violated that standard of care. If there is evidence that the property owner was negligent, you may have the right to pursue compensation. If you slipped and fell because of a substance on the ground, call our Little Havana slip and fall lawyers immediately. Florida has a specific statute related to transitory foreign substances in businesses. Based on Florida State Section 768.0755, if you slip and fall on a transitory foreign substance in a business, you must prove that the business had actual or constructive knowledge of the dangerous condition and should have fixed it. If you cannot prove that the business knew about the spill and that the business failed to do anything about it, then you cannot recover compensation. 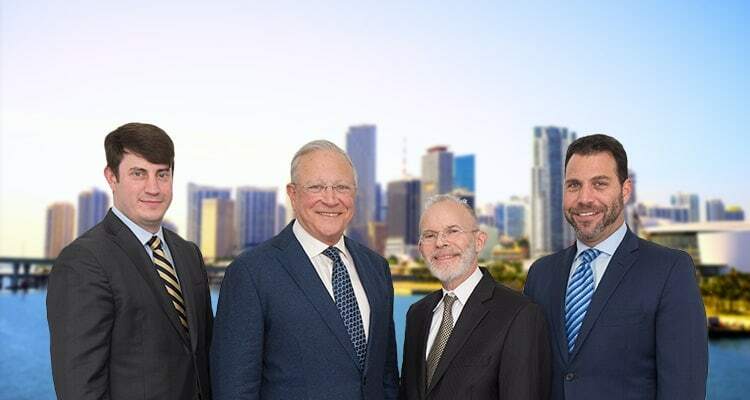 At Gerson & Schwartz P.A., our bilingual team is here to help you after you or a loved one suffer a slip and fall in Little Havana. Do not hesitate to contact us through our online form or call (877) 475-2905 to schedule a free consultation.